Last week we brought you some information regarding the artichoke, which is actually a thistle. This week we look at tomatoes, which are actually a berry. Tomatoes are cheaper then they’ve been for a while this week. We recently purchased a whole box for a few dollars. When you do spot bargains like this it’s good to know how to make the most of a glut and store these for leaner more expensive times of the year. You can freeze whole tomatoes by 1) washing them; 2) Remove stem sacrs; 3) place tomatoes in a single layer on baking sheets so they don’t touch; 4) let them freeze until solid (1-3 hours depending on size of fruit); 5) Remove them from freezer and quickly transfer to containers and seal. Ensure you label and date your produce. To use them: remove from freezer as many as wanted. You can also peel them now if wanted by running under tepid water. Another great way to enjoy your tomatoes long after the crop has come in is to make them into a relish. The recipe below is a standard one used by countrywomen throughout Australia for several generations now. Cut tomatoes and onions into thin slices, sprinkle in a large bowl with the salt and leave for at least 12 hours, or overnight. Drain off liquid and place tomatoes and onions in large pan. Add the vinegar and boil for 5 minutes. Mix curry, mustard and pepper with the extra vinegar and add to the pan. Boil for 45 minutes, then add the sugar and boil for another 45 minutes. Bottle and seal relish while hot. Store in a cool, dark place. Refrigerate once opened. Keeps for 12 months, but can be used as soon as it’s made. The word "tomato" may refer to the plant (Solanum lycopersicum) or the edible, typically red, fruit that it bears. Having originated in America, the tomato was spread around the world following the Spanish colonization of the Americas, and its many varieties are now widely grown, often in greenhouses in cooler climates. The original tomato, in the wilderness of the highland of Peru, was a herbaceous plant (non woody, herb like);bearing small green fruit. The word tomato derives from the Nahuatl word tomatl, meaning swelling fruit. The tomato is a fruit, more precisely a berry. 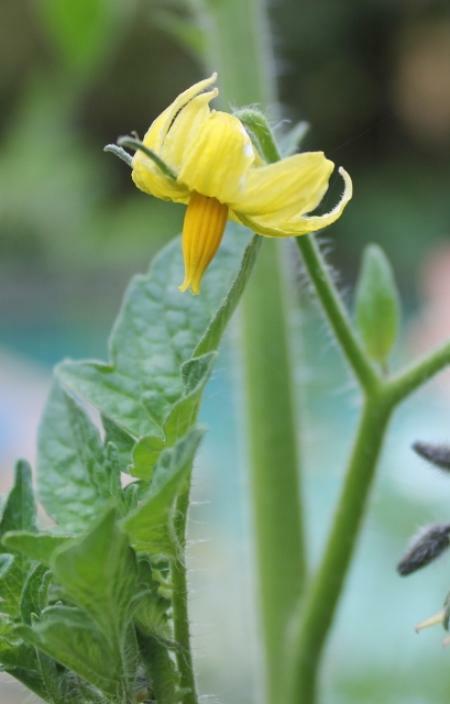 It belongs to the Solanaceae family, with deadly nightshade, potatoes and eggplants. The word Solanum originates from Latin solamen meaning to solace or comfort and lycopersicum literally means wolf peach. This stems from German myths in which werewolves were said to be summoned using deadly nightshade, a plant whose flowers closely resemble those of tomatoes. Mesoamerica: Aztecs and other peoples in Mesoamerica used the fruit in their cooking. The exact date of domestication is unknown: by 500 BCE, it was already being cultivated in southern Mexico and probably other areas. The large, lumpy tomato, a mutation from a smoother, smaller fruit, originated in Mesoamerica, and may be the direct ancestor of some modern cultivated tomatoes. Nutrition: Tomatoes are now eaten freely throughout the world, and their consumption is believed to benefit the heart, among other organs. They contain the carotene lycopene, one of the most powerful natural antioxidants. In some studies, lycopene, especially in cooked tomatoes, has been found to help prevent prostate cancer, but other research contradicts this claim. 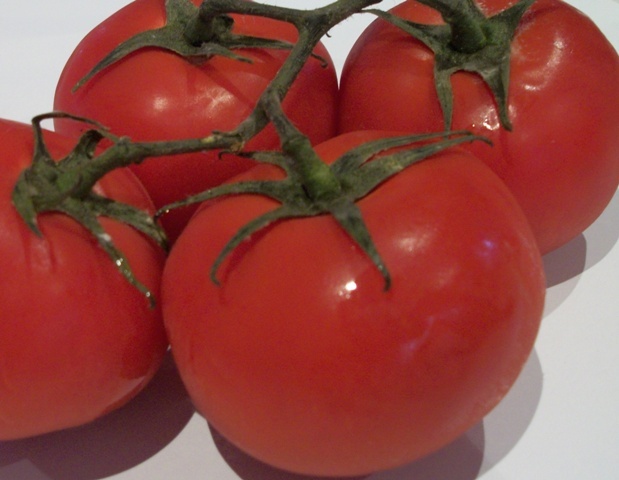 Lycopene has also been shown to improve the skin's ability to protect against harmful UV rays. A study done by researchers at Manchester and Newcastle universities revealed that tomato can protect against sunburn and help keeping the skin looking youthful. Natural genetic variation in tomatoes and their wild relatives has given a genetic plethora of genes that produce lycopene, carotene, anthocyanin, and other antioxidants. 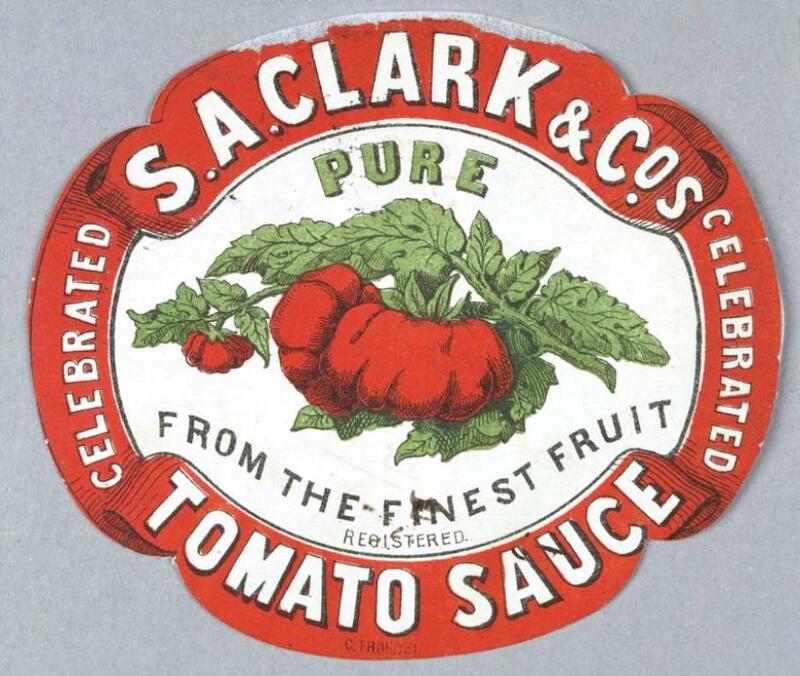 Title: S. A. Clark & Cos. Tomato Sauce [picture] Registered by S. A. Clark & Co., Perry Street, Collingwood, Victoria. Contributor(s): Charles Troedel 1836-1906 Date(s): 1873. Courtesy State Library of Victoria.